It's not your imagination. There really is a tighter squeeze on many planes these days. That's because the major carriers are using thinner seats to pack in more passengers. U.S. airlines are removing bulky seats and replacing them with streamlined models that allow room for another row. The change will allow air carriers more paying passengers per flight while also reducing fuel costs due to a decreased overall weight. "That cost then can obviously fall to the bottom line as more profitability or it can serve to hold the fares down against the competition," Paul Sterbenz, Independent airline consultant, said. 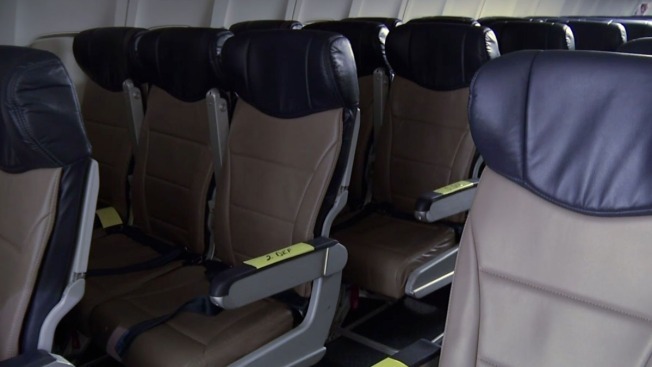 "The slimmer seats by adding more to the aircraft, reduces that cost." According to Sterbenz, how legroom will be impacted depends on the airline. He says that because seats are thinner, passenger space should be retained. Less padding and more passengers is something you'll have to get used to, because the changes stand to save the airlines millions of dollars.